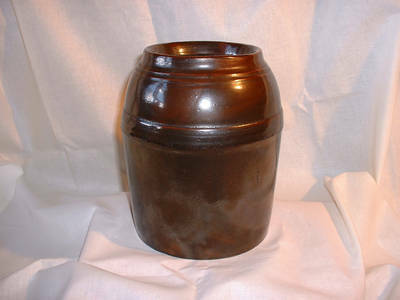 Description: This is a larger Peoria Pottery Storage Crock. It is not a wax sealer. The most amazing thing about this piece is the condition. At over 110 years old, this crock is in absolutly amazing condition. 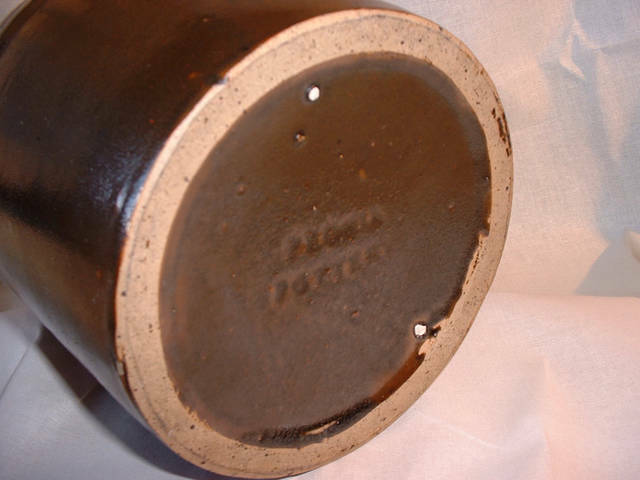 Beautiful Albany slip glaze in various shades of brown. It is marked. A stunning survivor from long ago. About 7.5 inches tall.